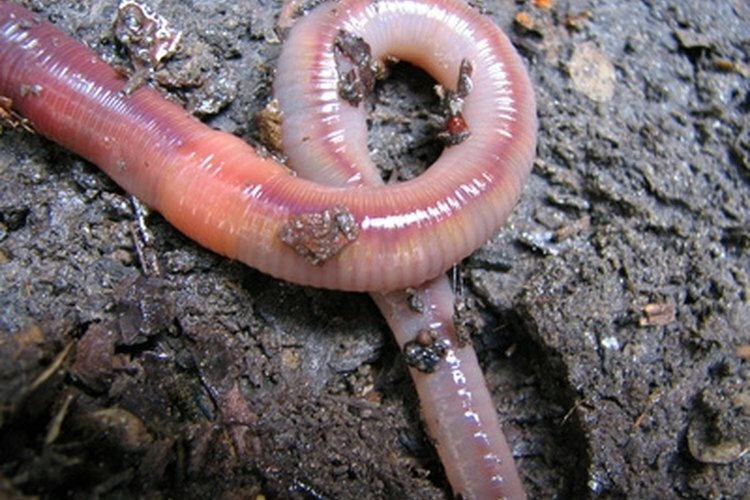 Nightcrawlers are a common and effective bait. Most fishermen start out by baiting a hook with a nightcrawler, but eventually move on to artificial lures and complicated rigs. Many eventually come back to the lowly worm, however, because there is simply nothing that attracts more fish. Everything from bass to bluegill and from crappie to catfish will fall for a lively wiggling nightcrawler. This bait is easy to find, easy to use and a great way to introduce children to fishing. Find some nightcrawlers. They can be purchased at almost any bait and tackle store. You can also find them under objects around the yard, or on your lawn and on the street at night after a spring or summer rain. Take a flashlight and a pail and catch as many as you can find. Put the nightcrawlers in peat moss and keep them moist, but not wet. Tie a bait hook to your fishing line about 24 inches above the end of the line. Tie a bell sinker or drop-shot sinker at the end of the extra line. Once finished, your line should have the sinker at the end, with the hook about 16 inches above it. Put a nightcrawler, or a piece of nightcrawler, on the hook. Thread the hook into and back out of the worm two or three times along its body so that it is securely on the hook. Cast to an area that is likely to hold fish. Good spots include reefs, rock piles, drop-offs, weedlines and docks. Watch your line for movement that indicates a bite, then slowly reel in any slack line, and set the hook with a swift overhead motion. If you are continually snagging your line, try a bobber rig. Tie the hook to the very end of your line, then clip on a bobber 2 or 3 feet above the hook (depending on depth of the water). Clamp one or two removable split-shot sinkers halfway between the hook and bobber. This is a useful option when fishing around weeds, brush or other snaggy cover. Use smaller nightcrawlers, or pieces of nightcrawler, for panfish or trout. Use whole 'crawlers for bass, walleye, catfish, or other large gamefish.